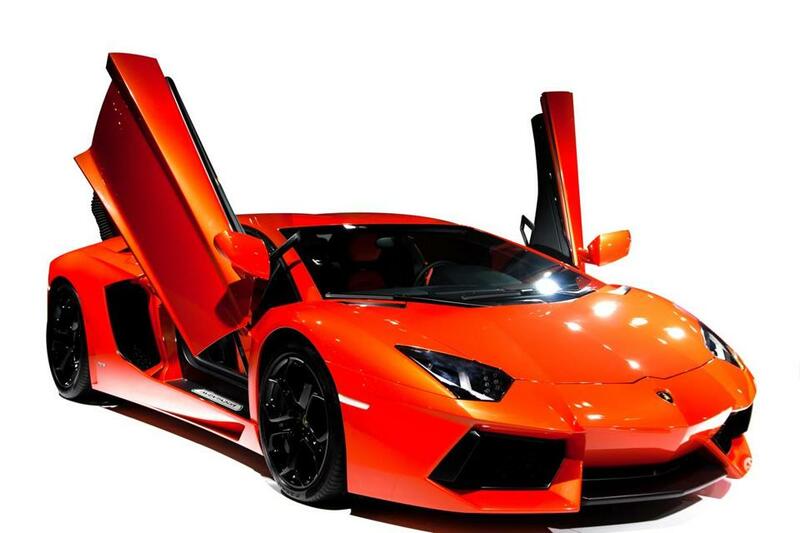 If you can’t afford to buy a Lamborghini, you could shell out big bucks to rent one for a day. Bob Cohen’s wife has never shared his love for exotic automobiles. “She just wants a car that gets her to the store,” says Cohen, a jeweler based in Hampton, N.H.
Cohen learned to drive a performance car years ago in a rear-engine Porsche 911 Turbo. He now owns a rare, pearl orange Lamborghini Gallardo SE — “my dream car” — which carried a sticker price of almost $250,000. Last year he bought a second attention-grabber, a new yellow Corvette Stingray. This year Cohen and his sons began renting out their cars in their new venture Seacoast Exotic Car Rentals. The insurance costs have been daunting, Cohen admits, but he’s not really looking to make a paycheck from the business. Not yet, anyway. “We’re trying to justify having them,” he says. “My goal is to pay for the insurance.” He charges $1,800 for 24 hours with the Lamborghini, with 175 miles included. A four-hour rental, with 100 miles included, is $800. The Corvette is a bit friendlier on the wallet: $350 for a four-hour rental and $800 for 24 hours. Weekdays are 10 percent off those prices. So far, he’s been pretty successful, renting them out most weekends over the summer. Ideally, he’d love to add a car a year to his modest “fleet,” which he keeps in his driveway when the weather is good. Cohen’s little family business is one example of a growing trend in car rentals. National brands such as Enterprise and Hertz have been boosting their fleets of high-end cars in big-spender destinations including Los Angeles, Las Vegas, and Miami. RelayRides, a coast-to-coast network of private car owners who rent their vehicles, features occasional listings for Hummers and Maseratis among its more conventional rides. This fall the entrepreneurs behind the Cape Cod-based Classics & Exotics will launch their marketplace for classic car owners and renters, becoming the first to market, they claim, with what amounts to an Airbnb for car rentals. Co-founder Peter Zawadzki says it’s a natural progression from the rental property listings of Airbnb and the rental network of Boatbound. Now his small team is set to debut in Detroit and Arizona, with a New England rollout due in spring. They’re signing up car collectors who are willing to rent their vehicles to “prescreened, highly qualified” renters. There are plenty of reasons clients want to rent Jaguars, Ferraris, and Bentley convertibles, says Brice Adamson, a senior vice president at Enterprise who oversees the company’s exotic cars. Events such as weddings, anniversaries, and birthday weekends top the list, but he’s seen other customers who want to test-drive a certain make and model before buying, or high rollers who simply want to park an impressive car in the driveway during their stay in London or L.A.
Bob Cohen rents out a rare, pearl orange Lamborghini Gallardo SE and a yellow Corvette Stingray. “Sometimes they don’t even drive them,” says Adamson. His company recently accommodated the wife of an actor who was in Atlanta on a long movie shoot. She wanted a “very specific vehicle we didn’t have,” he says. That cannot have been cheap. At Hertz, prices start at $450 per day for renting a Porsche 911 or a Mercedes-Benz G550, with 75 miles included. According to findexotic.com, a luxury and exotic car rental site, it costs about $4,200 to rent a Bentley for a week and $5,000 for a Ferrari F430 Spider. Don Buchholtz found out the hard way that there are some considerable obstacles to renting luxury cars. The owner of Classic Cars and Byways in Newton, he still makes his replica 1957 Speedster available for photo shoots, but he no longer lets customers drive off in it. The high cost of insurance was the major issue behind scaling back, he says. But after a few years in business, he also began to feel he was “pushing my luck, so to speak.” Although he never had a bad experience with a customer beyond a bent pushrod, he was starting to think an accident or some other type of damage was inevitable. Now retired from his “real” job with United Way Boston, he says he drives his beloved Speedster about 500 miles a year. Zawadzki, the CEO of Classic & Exotics, says his company will insure all car owners with a comprehensive blanket policy guaranteeing full replacement value and $1 million in liability. They’ll also offer nationwide roadside service, and the company will monitor drivers using GPS, to ensure responsible renters. The collector car market has skyrocketed in recent years, as the economy recovers and investors take note of the rapid appreciation rates. It’s a “natural fit,” Zawadzki says, to combine those collectors with the burgeoning sharing economy. Zawadzki, who personally owns a Ferrari 308, a 1968 MG, and a ’71 Mini Cooper, says he and his partners are enthusiastic about introducing new drivers to the classic car hobby.